Conveniently located in the Jessup Small Business Center, The TekRidge Center supports the growth of relocating and expanding businesses within Lackawanna County. 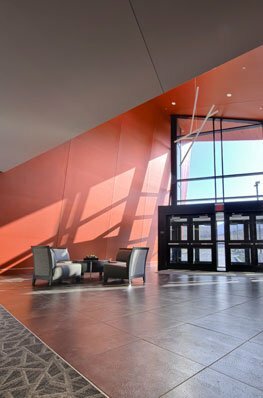 Whether you are an established business or a client of the business incubator program, The TekRidge Center at the Jessup Small Business Center is a location of choice for companies looking to develop new and innovative technologies that will further enhance the economic climate of Northeastern Pennsylvania. Businesses located within the incubator space will receive the support, infrastructure, resources and mentorship needed to achieve long-term success, with the end goal of creating jobs, commercializing new technologies and strengthening local and national economies. The TekRidge Center is conveniently located off State Route 247, adjacent to US Route 6, and within 6 miles of interstates 81, 380 and 84. The facility features state-of-the-art telecommunications, utilities and offers easy access to an array of local amenities, including restaurants, hotels and retail shops. The facility is located in a designated Keystone Innovation Zone (KIZ). For-profit businesses located within the The TekRidge Center, that are less than eight years old and operating within targeted industries are eligible for a tax credit through the KIZ program. In addition the building’s Keystone Opportunity Zone designation through 2020, provides Pennsylvania state and local tax exemption to its tenants.